Known as the first Puerto Rican artist and founder of the Puerto Rican national school for their colorful . Rivafrecha Joseph and Jordan , better known as José Campeche was born in San Juan de Puerto Rico in the corner of Calle San Sebastian Cruz and the December 23, 1751 . 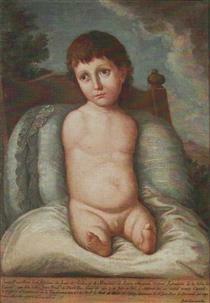 His parents were Thomas and Mary Jordan Campeche Marques and the third of seven children. As a child he liked the drawing and introduces the visual arts under the influence of his father who was engaged in the trade of gilder , carver and adornista . Campeche course studies in philosophy and Latin at the Dominican Convent . In addition he studied music as a child which helped his humanist education as an individual. His paintings can be divided into two categories : the portraitist : towards a rich attention to detail and some influence of French Rococo and religious : where used as reference prints of religious figures . We can also fall into two periods : from 1763a1776 years of his development as an artist and from 1776 until his death in 1806 where the influence of the court painter Luis Paret y Alcazar shows. 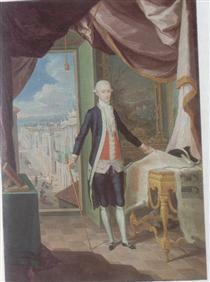 In 1775 the Spanish painter Luis Paret y Alcázar reached Puerto Rico and Campeche (which by then was 25) was found in him a friend and instructor who learn the technique in vogue. 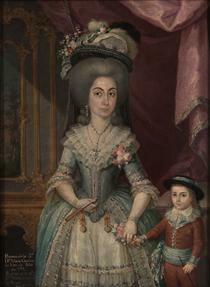 Although retained his own style, the work of Campeche this time accused the stylistic influence of the Rococo. When three years later, Paret y Alcazar returned to Spain , Campeche regained his self-training. 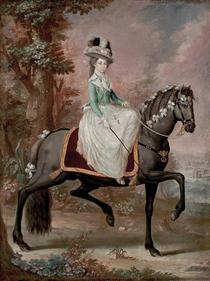 Although the artist evolve from this school, the influence of the Rococo in his painting is very evident. 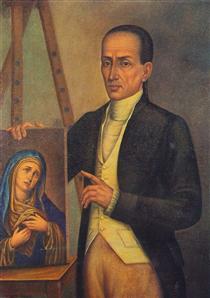 José Campeche distinguished himself with his paintings related to religious themes and of governors and other important personalities. 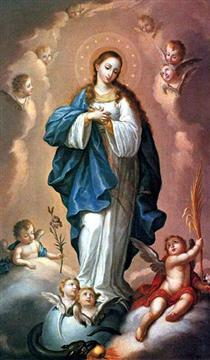 His most famous paintings are the portraits of Juan Alejo de Arizmendi, Ramon de Castro and Miguel A. de Ustariz and The Virgin of Belen,The Virgin of the Rosary, Saint John the Baptist, The Sacred Family, The Bishop of San Francisco de la Cuerda, The Vision of Saint Anthonyand The Shipwreck of Power in honor of Ramon Power y Giralt. 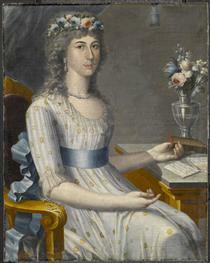 Puerto Rican society of the time appreciated Campeche's personal and artistic merits and he is now considered to be amongst the most gifted rococo artists in the Americas. 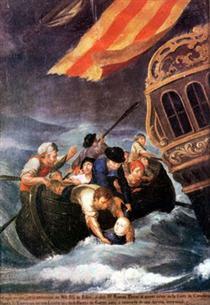 His works of art can be found in museums, churches and private collections in Puerto Rico and Venezuela. 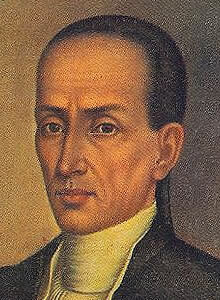 Campeche died in the city of San Juan on November 7, 1809. José Campeche is considered by many as one of the best rococo artists in the Americas. According to the American art historian ReneTaylor the largest Spanish-American painter of the eighteenth century and its pictorial legacy is estimated at 400 to 600 works. José Campeche y Jordán (December 23, 1751 – November 7, 1809), is the first known Puerto Rican visual artist and considered by art critics as one of the best rococo artists in the Americas. Campeche y Jordán loved to use colors that referenced the landscape of Puerto Rico, as well as the social and political crème de la crème. Campeche was born in San Juan, Puerto Rico. 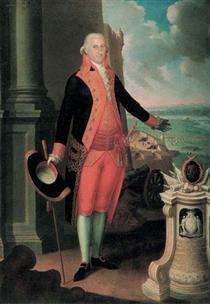 His parents were Tomás Campeche (1701–1780) and María Jordán y Marqués. His father was a freed slave born in Puerto Rico and his mother was a native of the Canary Islands. 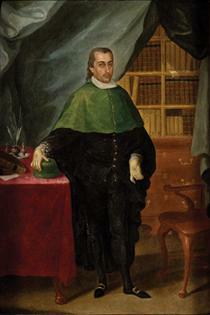 His father, a restorer and painter of religious statues, was an early influence on the young Campeche's interest in the arts. Campeche was trained by Luis Paret y Alcázar, a Spanish court painter banished from Spain. 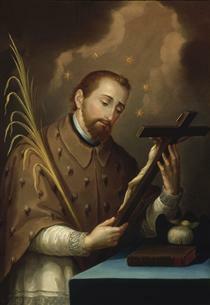 The Puerto Rican society of the time appreciated Campeche's personal and artistic merits and he is now considered to be amongst the most gifted rococo artists in the Americas. 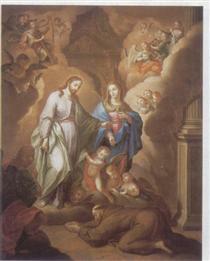 His works of art can be found in museums, churches and private collections in Puerto Rico and Venezuela. Campeche died in the city of San Juan on November 7, 1809.